Major Crimes Season Three DVD Giveaway - Are You Screening? 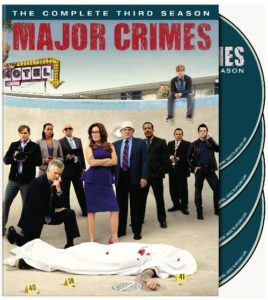 The third season release of Major Crimes is hitting May 26th, and I’ve got your opportunity to win one of three copies of the DVD! The show, a spin-off of The Closer, has been doing well since it premiered, and the third season was the #3 scripted drama on basic cable. Moreover, despite not kicking off all that well, it’s a show that has grown into itself, and found a more solid base of existence. The quality has grown in many respects, and the cases were far more interesting in the third season. Mary McDonnell seems more comfortable, due in large part to the writing giving her a broader base of character to work with. If you aren’t caught up, now is the perfect chance to get ready for the fourth season. Take a look at more info on the season, and enter to win your copy! Warner Bros. Home Entertainment (WBHE) brings the third season of one of cable television’s most powerful police dramas to DVD, with the release of Major Crimes: The Complete Third Season. Available in stores May 26, 2015, this release features all 19 of the series’ season three episodes plus never-before-seen unaired scenes and gag reel. The show, which spun off the critically acclaimed, award-winning The Closer, has quickly established itself as one of basic cable’s top programs. During season three, Major Crimes ranked as TNT’s #2 show and as the # 3 scripted drama on basic cable television *. The release of Major Crimes: The Complete Third Season is timed to the show’s fourth season premiere on TNT. 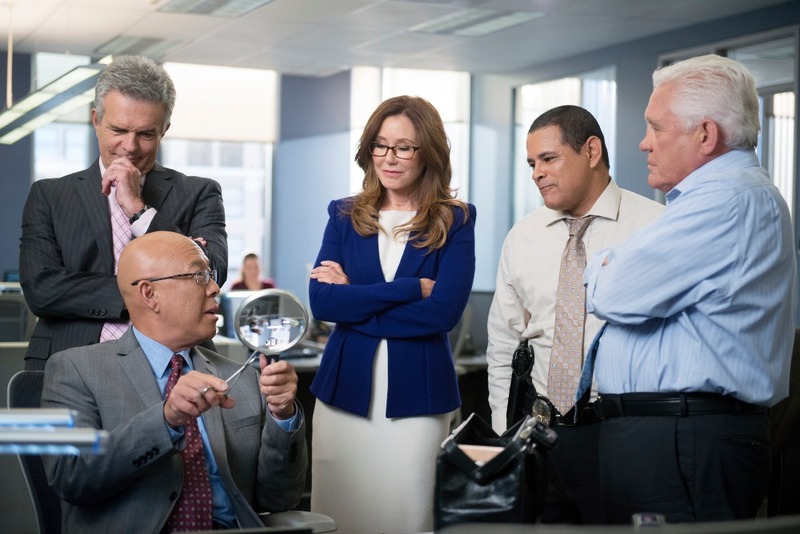 The third gripping season of Major Crimes finds our favorite squad of detectives hard at work, as they continue to solve the division’s highest profile cases. The elite team is under the leadership of department head Captain Sharon Raydor, portrayed by Oscar® nominee Mary McDonnell (Dances with Wolves, Battlestar Galactica). The unit is comprised of Lieutenant Provenza (G.W. Bailey, The Closer, M*A*S*H, Police Academy), Lieutenant Andy Flynn (Tony Denison, The Closer, Crime Story), Lieutenant Mike Tao (Michael Paul Chan, The Closer, Arrested Development), Detective Julio Sanchez (Raymond Cruz, The Closer, Training Day), Detective Amy Sykes (Kearran Giovanni,One Life to Live), tech expert Buzz Watson (Phillip P. Keene, The Closer, The D.A. ), Dr. Morales (Jonathan Del Arco, The Closer, Nip/Tuck), Assistant Chief Russell Taylor (Robert Gossett, The Closer, Arlington Road) and Deputy Chief Fritz Howard (recurring guest star Jon Tenney, The Closer, King & Maxwell).